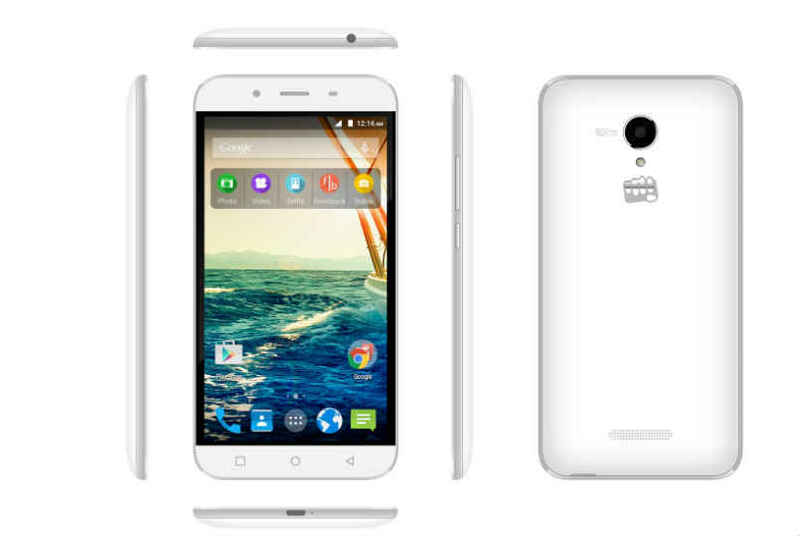 Micromax Canvas Doodle 4 Specifications:Â Micromax has finally unveiled its fourth variant for its Canvas Doodle series.Â Micromax has officially launched the Canvas Doodle 4, successor of last year’s Canvas Doodle 3. It’s a high time forÂ Micromax to expand its Doodle series with a budget entry level smartphone. Micromax Canvas Doodle 4 gives the users a creative platform which enables them to express themselves in a fun and quirkier way and enhancing their experience.Â Lets have a better view to it by having a look at the Micromax Canvas Doodle 4 SpecificationsÂ table,its Â advantages and disadvantages and price. The phone falls in the genre of phablet. The smartphone has a 6 inch screen which is supported with qHD IPS display.Â The presence of Corning Gorilla Glass 3 adds the rigidity of the screen to a great extend.Â The mobile phoneâ€™s magnetic flip cover will make the phone more rigid, and you can protect it from scratches and other external impacts.It Â measures 165.5×85.3×8.5mm. It also includes light, gravity, and proximity sensors. The mobile phone is powered with 1.3GHz quad-core processor, and it has a RAM of 1 GB. The mobile phone offers an in built storage memory of 8GB, and it can be expanded using a micro SD card upto 32 GB. It has a 8-megapixel rear camera with LED flash and a 2-megapixel front-facing camera. It has dual SIM support and 3G connectivity, similar to most other Micromax smartphones.Â It has a 3000 mAh battery, and it is expected to enhance the stand by life of the mobile phone.Â The phone is loaded with some popular pre loaded applications which includes, App Center, Chaatz, Clean Master, Hotstar, Newshunt, Quikr and Snapdeal.Â On the connectivity front, Micromax Canvas Doodle 4 can access internet over 3GWi-fi, GPS, and Bluetooth v3.0. front camera is of just 2 megapixel. The smartphone is priced at Rs 9,499 and will be available on all major retail outlets soon.Â If you are buying the phone through Ebay, you will get a small discount, as the phone is available there at 9199 INR.Â Similar to the previous Doodle series smartphones, this one is expected to include a stylus as well, but there is no confirmation as of now. This would be all about the Micromax Canvas Doodle 4. For more info stay tuned with us.